Check out the Spotify playlists (slow, medium and faster tempos) below for swing music you can practice to. This is just a taste - there's a lot of great swing music out there so keep exploring artists you like! ​This group is lead by vocalist, guitarist and pianist, Tom Whitehead. The ensemble also features Michael Arciero on guitar, Kris Day on upright bass and Don Whitney on drums, with special guest Ellen Carlson on violin. 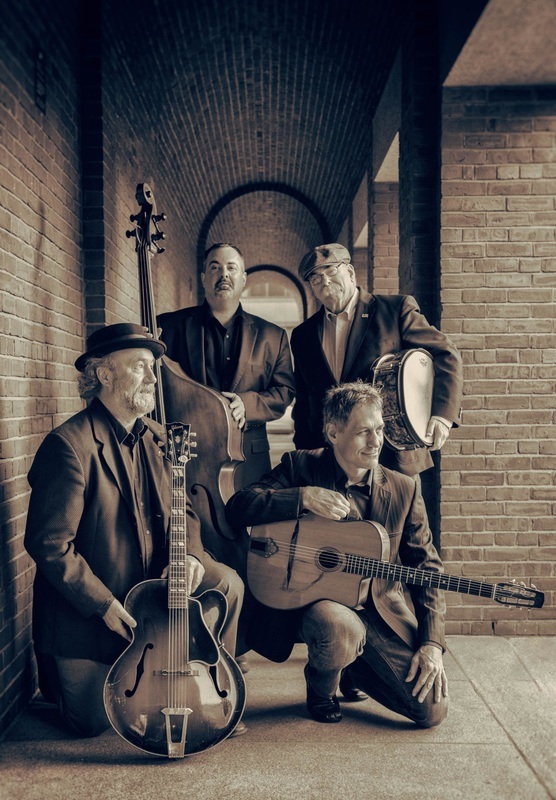 The sound evokes the smooth, acoustic feeling of Django Reinhardt’s gypsy jazz style, but with a distinctly American flavor of vocal standards from the 20’s, 30’s and 40’s. The Honky Tonk Heroes dish out a blend of Juke-Joint swing, Classic Country and Rock n' Roll. Led by Jed Bresette, this six-piece band provides bluesy melodies, creamy-thick harmonies and uninhibited improvisation, all supported by a rock-steady rhythm section. Featuring: Jon Cooper on Slide Steel, Kyle Morgan on Lead Guitar, Jake Hoffman on Bass, Don Whitney on Drums and Pip Walter on Fiddle.